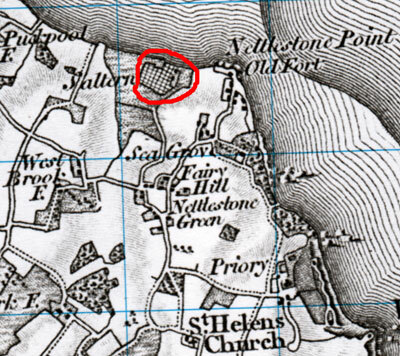 When the Salterns at Seaview were established is unclear - they appear on an 1800 map (which doesn't show Seafield House) but their operation appears to have lapsed by that time. The salt pans were behind (west of) the row of cottages, on the side of Barnsley Creek. 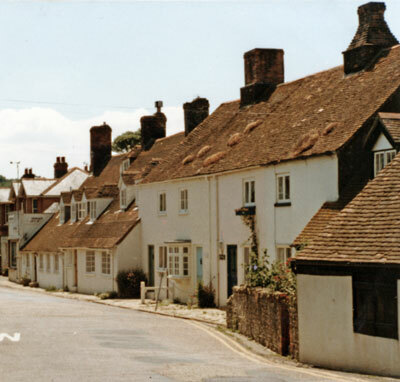 About 1800, James Kirkpatrick, a Newport banker, purchased the Saltern Cottages, the saltpans and marshes, and the land now bounded by Fairy Road, Seafield Road and the sea wall. Kirkpatrick built Seafield House and restarted the lapsed Salt making. In about 1819, Kirkpatrick sold the Seafield Estate, which included the Salt Works, and salt making here ceased.